Artists Comments: First plen air landscape painting. 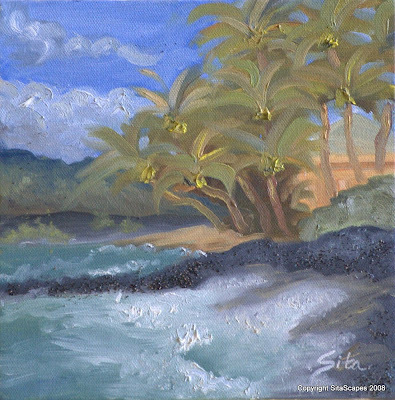 Completed painting while Roger and Brendan were kiting at Kiholo. After landing at the bay, I decided to capture the day on canvas as we enjoyed a few beers and company of friends.